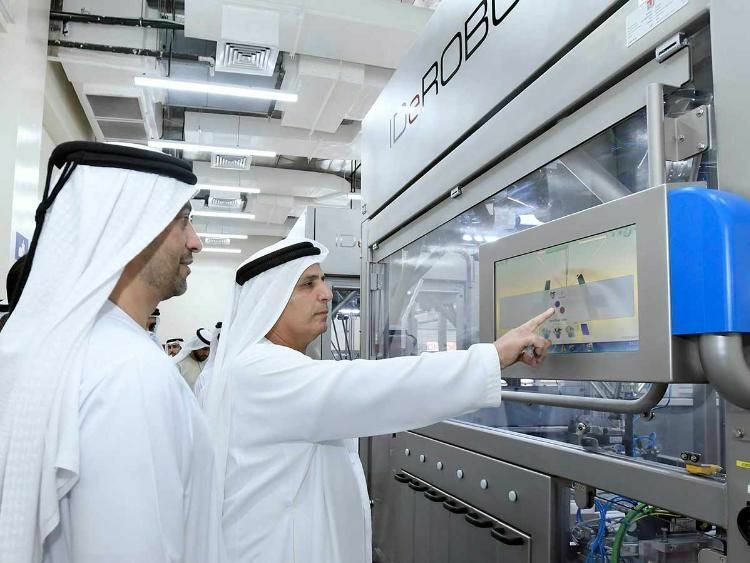 Mattar Al Tayer, Director-General and Chairman of the Board of Executive Directors of the Roads and Transport Authority (RTA) inaugurated the opening of a new number plate factory in Deira, Dubai. The first of its kind in the world, the new factory uses robots in the manufacturing of vehicle plates and can produce up to 33,000 number plates per day – a significant increase over the current output of 3,000 plates per day. Designed and produced by German company Tönnjes Middle East GMBH, the robot factory offers numerous benefits, the most significant of which is the capability to render number plates with a ‘zero margin error’. In comparison, the previous system ran the risk of printing the same number twice. Moreover, the new system can generate a number plate in just 15 seconds (a sizeable decrease from the 120 seconds of the older system) and can print up to six different types of vehicle plates at any given time. The robots use a combination of artificial intelligence and an e-Licensing system that allows them to operate without the need for any human intervention. In the coming years, the RTA will be installing 10 such machines at locations of service providers, with all being controlled through the central factory. The system tracks the lifecycle of the number plate from manufacturing up to scrapping using the QR code attached to the number plate.